With water security a top concern, Parkes Shire Council in New South Wales is planning ahead to future proof the community’s water supply by expanding infrastructure to draw water from diversified sources – including from dam, river and groundwater sources — replacing aging infrastructure, and increasing recycled water use. Here, we take a look at two projects that have been undertaken as part of a major water infrastructure project, a new water treatment plant and advanced water recycling facility. Parkes Shire Council’s Integrated Water Infrastructure Renewal Project (IWIRP) is a multi-award winning project, having won top Water Management honours in the Local Government NSW Excellence in the Environment Awards, and the Sustainable Systems Award at the Blue Star Awards in 2017. The IWIRP comprises multiple projects which will allow for more effective and extensive use of recycled water, and decrease demand on scarce water resources. The new $45 million water treatment plant will provide a safe, secure water supply and ensures the community can continue to grow and attract new business and residents. The project has completed the commissioning and proving phases and once fully operational in early 2018 it will take over from the existing water treatment plant at Albert Street. The existing plant was built in 1958 and is no longer able to cope and meet current and future water supply demands as it is too small. 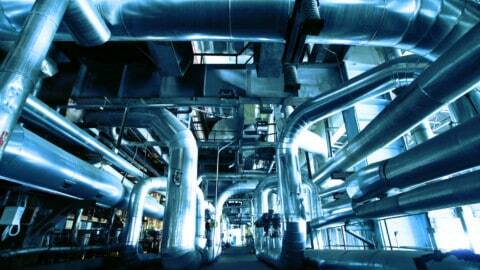 Technology has also improved since it was first built, so a new plant was required to continue meeting strict compliance standards on a consistent basis, as well as provide a more sophisticated system to blend and treat water from different sources. The new water treatment plant is state-of-the-art, is fully automated with minimal operator supervision required, and uses the latest technologies for water production and water quality monitoring. 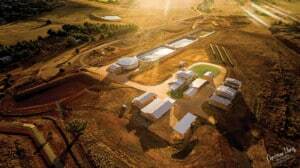 Parkes Shire Council’s Director of Infrastructure, Andrew Francis, said the main process train configuration underpinning the water treatment plant involves Flocculation, Dissolved Air Flotation-Filtration (DAFF), Chlorine Disinfection and Fluoridation. Dissolved Air Floatation-Filtration (DAFF) is used for the clarification process to ensure smaller particles, such as algae from raw water, are effectively removed, and to reduce the amount of chemical dosing and eliminate the need for recurrent backwash. As the plant is a ‘zero discharge’ process, the local waterways are not affected by wastewater released from the plant. The utilisation of gravity filters, the construction of a High Level Reservoir, and the installation of a 100MW PV system (solar panels) also means it has minimal power requirements. 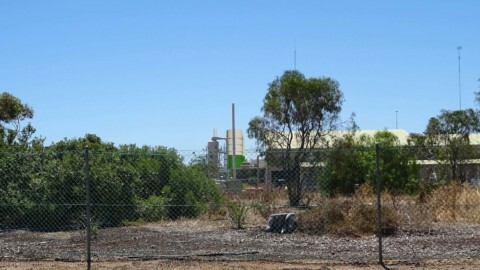 To maximise the value of the construction of the water treatment plant – as well as a sewage treatment plant – Parkes Shire Council adopted unique and progressive tendering strategy not usually undertaken by local government. Council used an Early Contractor Involvement process, and developed a framework in line with NSW Government procurement policy; incorporating Expression of Interest, Requests for Tender and Intensive Workshops as part of the selection process. This process gave Council confidence in the cost of the projects and delivered a saving of $8 million, as project risks were mitigated. Through the project procurement process, John Holland (JH) undertook its own procurement to inform its own tender submission. “John Holland invited specialist pump vendors with proven track records to tender for the pumping packages comprising a mix of horizontal end suction pumps as well as submersible wet well pumps across the sewer treatment plant and water treatment plant,” John Holland Engineering manager Jim Livas said. The new water treatment plant is not only more efficient, it is also more productive. Most importantly, the new plant has double the capacity of the old plant, with the capacity to treat 16ML of water daily, ensuring the supply of quality water during peak seasons, and accommodating for projected growth. The project was not without its challenges but Jim Livas said an extensive collaboration was key to overcoming these. The Advanced Water Recycling Facility (AWRF) will underpin a new $21 million Recycled Water Scheme, strengthening water security and bringing recycling activities up to current regulatory and industry best practice standards. The idea behind the scheme goes back to 2005, when recycled water was suggested as a potential solution to Parkes water security issues during community consultation. The scheme will provide advanced disinfection of the high grade effluent from the new sewage treatment plant next door, to supply vastly superior water quality to customers on the existing effluent reuse scheme, and also allow recycled water to be used for irrigation purposes. It is projected to result in water savings of up to 200ML and $20,000 per annum upon completion. The Recycled Water Scheme replaces the existing Effluent Reuse Scheme; a long-running scheme that supplied low-quality recycled water for irrigation purposes. Phase 1 was completed in December last year with completion of the construction of the new AWRF. Phase 2 involves the construction of a specialised Recycled Water Rising Main to extend the delivery of recycled water to Parkes Shire Council’s parks and greenspaces. Phase 3 involves the potential expansion of the Recycled Water Rising Main to include additional third party commercial customers. 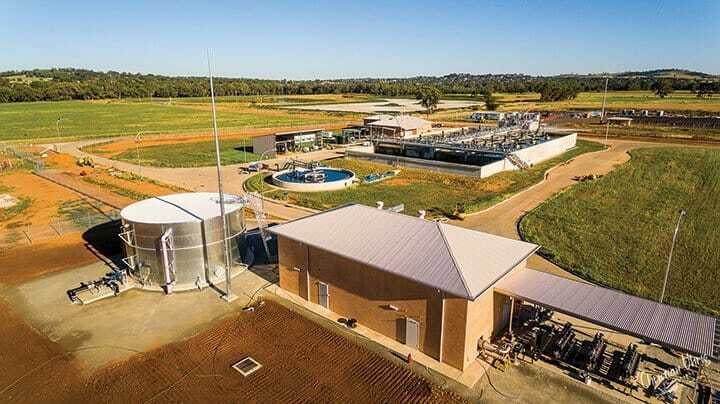 Parkes Shire Council’s new water treatment plant uses the latest technologies for water production and water quality monitoring. Photo credit: Christian Uhrig Photography. 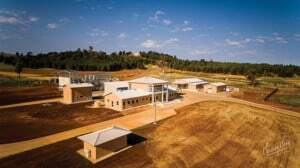 The Advanced Water Recycling Facility has been constructed alongside a new sewage treatment plant, and uses state-of-the-art treatment processes to purify the wastewater to the highest standard. Parkes Shire Council’s Director of Infrastructure, Andrew Francis, said, “The AWRF creates a new, local and completely drought-proof water supply that will keep our parks and sporting fields green – even during water restrictions. “Our Recycled Water Scheme will achieve incredibly high treatment standards, to be solely used for irrigating our community greenspaces. John Holland’s Engineering Manager, Jim Livas, said the heart of the state-of-the-art Advanced Water Recycling Facility comprises UV and Chlorine Disinfection. 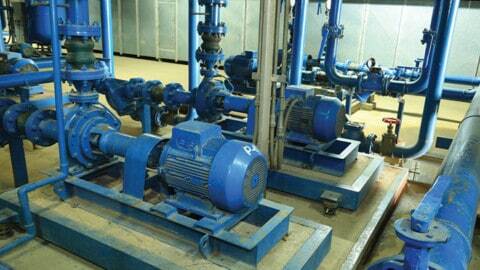 “Tenders were invited for specialist equipment mostly related to pumps, screening, and UV. Prevalidated equipment was specified and vendors with proven track records were a significant consideration. The maintenance and repair schedule and costs also played a significant part of the overall TOTEX evaluation undertaken by the project team for both the Advanced Water Recycling Facility and water treatment plant. There were no significant challenges during construction as the Advanced Water Recycling Facility was a greenfield add-on to the new sewage treatment plant, and allowances for integration had been made during the delivery of the sewage treatment plant which facilitated a seamless transition. Photo credit: Christian Uhrig Photography. Along with the construction of the water treatment plant and the Recycled Water Scheme, other works have been undertaken to compliment these facilities and ensure they are efficient. Construction works have been completed at the Lake Endeavour Dam on a $12.2 million project to strengthen the embankment and spillway to ensure long-term stability and integrity, and widening/deepening the existing spillway and raising the embankment crest to increase flood security. As part of the new water treatment plant, several sections of raw and treated water pipelines were replaced as they were nearing the end of their useful life and their integrity was compromised, resulting in water loss due to cracks and breaks. These pipes needed to be replaced to ensure water is delivered efficiently to the new treatment plant. $3 million in upgrades and refurbishment works have been undertaken at the Lachlan River Pump Station and Bore 8 to improve the capacity for water extraction, enabling the spread of water extraction across a number of sources, and reducing the impacts on individual water bodies. The works make the Lachlan River Intake a permanent water source, increasing the security of the raw water supply, and maintaining the community’s newest water source. the aquifer, allowing increased capacity.